"I don’t think that the importance of this issue can be overstated (though I’ll certainly try to do so). When the very first bullet point in the Franciscan University of Steubenville’s Mission Statement reads, The specific vocation of a student is intellectual development.…A Christian student is one who concentrates on intellectual development through studies while integrating faith and learning in and out of the classroom, then is it a wonder that this discussion is even necessary. Yet necessary it is. How ironic that in striving to go beyond the secular university model with its Jeffersonian ‘wall of separation’ keeping spirituality out of our study life, we build an even bigger wall to keep study from infecting our spirituality – as if study and spirituality were two separate things like, say, faith and reason, or scripture and tradition" (2012 Student Handbook, p. 9). "Real security is not found in the sanctuary of serenity; it is discovered in the arena of action." "Don’t use a gallon of words to express a spoonful of thoughts." "I am always talking of having learned the lesson of living ‘today.’ But, one thing I never said was that the real lesson was to live ‘in today,’ not ‘for today.’ Those two little words, ‘for’ and ‘in,’ make for a powerful difference; they are words of expectation; they are words that drive us to live our lives in a certain way; they are words of intention; they are ethical and moralistic words. As I see it, ‘for today’ means self-gratification, serving one’s self at whatever and whomever’s expense. ‘In today’ means living a life of high expectation; it means an alertness, awareness, and attentiveness to all that is around you; it means searching for meaning and connection in life; it means gentleness, sensitivity, reflection, and wonder; it means living a life of courage in the face of doubt and fear; it means living a life of optimism." President Franklin D. Roosevelt had this advice for public speakers: "Be sincere, be brief, be seated." "The two words ‘information’ and ‘communication’ are often used interchangeably, but they signify quite different things. Information is giving out; communication is getting through." "Between the great things we cannot do and the small things we will not do, the danger is that we shall do nothing." "The word thank is derived from the Old English thanc, meaning thought. Thank, therefore is related to think. This is most fitting since there must be some thought before one can offer proper thanks. Giving thanks is the fruit of a thoughtful (and grateful) heart. 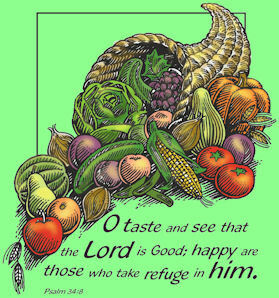 Gratitude is the disposition; thanksgiving is its natural expression. Thankfulness, because it brings the mind and heart together, is an articulation of the whole person. Moreover, it disposes the person to express his thanks in sundry other virtuous ways, through generosity, patience, fidelity, and so on. Perhaps this helps us to understand why Cicero held that a ‘thankful heart is not only the greatest virtue, but the parent of all other virtues.’"
"We are each gifted in a unique and important way. It is our privilege and our adventure to discover our own light." "Virtues are the good habits that enable us to strive toward realizing our full potential. They have been traditionally identified as prudence, justice, fortitude and temperance." "If a nation wants prosperity more than freedom, wealth more than dignity, pleasure more than strength, brilliance more than character; if it considers that all the creative sacrifices have been endured by its ancestors; if it forgets that the individual holds his freedom as a trust for the nation, and the nation exists in service to humanity, individual freedom will be short-lived, and so will the free nation." "A life without purpose is a languid, drifting thing. Every day we ought to review our purpose, saying to ourselves: This day let me make a sound beginning, for what we have hitherto done is naught!" "There is more in us than we know. If we can be made to see it, perhaps, for the rest of our lives, we will be unwilling to settle for less." "Civilization is not inherited; it has to be learned and earned by each generation anew; if the transmission should be interrupted for one century, civilization would die, and we should be savages again." "Reading feeds the brain. It is evident that most minds are starving." "You must take personal responsibility. You cannot change the circumstances, the seasons, or the wind, but you can change yourself. That is something you have charge of. You don’t have charge of the constellations, but you do have charge of whether you read, develop new skills, and take new classes." One day not long after marrying her high-school sweetheart, Linda took a few minutes to buy him a small card that read, "You are Such a Blessing to Me!" "He was so touched he decided to return the sentiment and tucked the card inside my coffee mug one morning," Linda related. "Since that time the card has been passed back and forth between us in books, on car dashboards, taped to the bathroom mirror and packed in lunch bags." Though the card is showing some wear, the tradition will continue. The card last appeared in the crib of the couple’s newborn daughter. There was a priest leading a retreat for a group of women religious who took evening walks through the community’s cemetery. He noticed the simplicity of the gravestones, the faces of which held only engraved names and the years of birth and death. Between the two dates was a dash. The director asked the sisters on retreat to reflect on the idea that the dash was the most important symbol on those gravestone inscriptions. Embedded in those dashes are what those deceased sisters planted and uprooted, built up and tore down during their lives. Hidden in those dashes were the times they wept and laughed, mourned and embraced, fell silent or spoke out. During the retreat, they discussed how each day of their lives they are making their own dashes, by planting, loving, laughing, healing. We can’t determine the date of our birth or the date of our death, but we are given many opportunities to do the right things while we live our dashes.